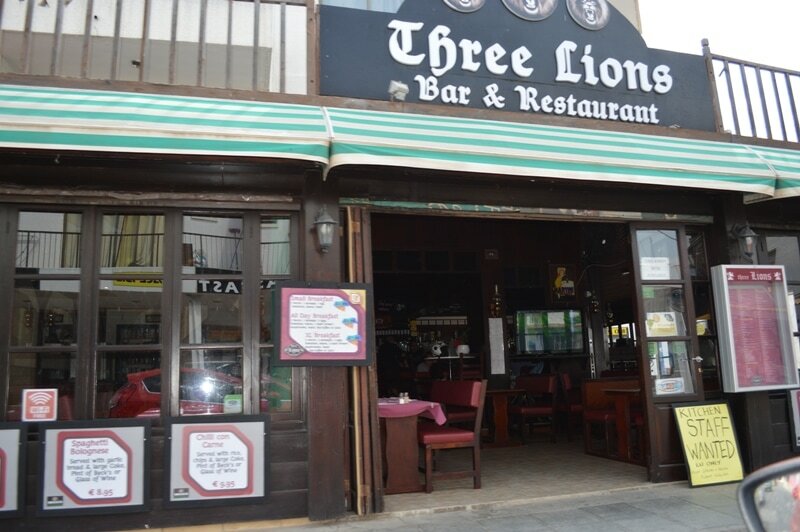 Three Lions is a bar and restaurant located close to the centre of Ayia Napa. Just a couple of minutes walk from the top of the square, Three Lions is on Tefkrou Anthina Street or "the top road" as it is often called. 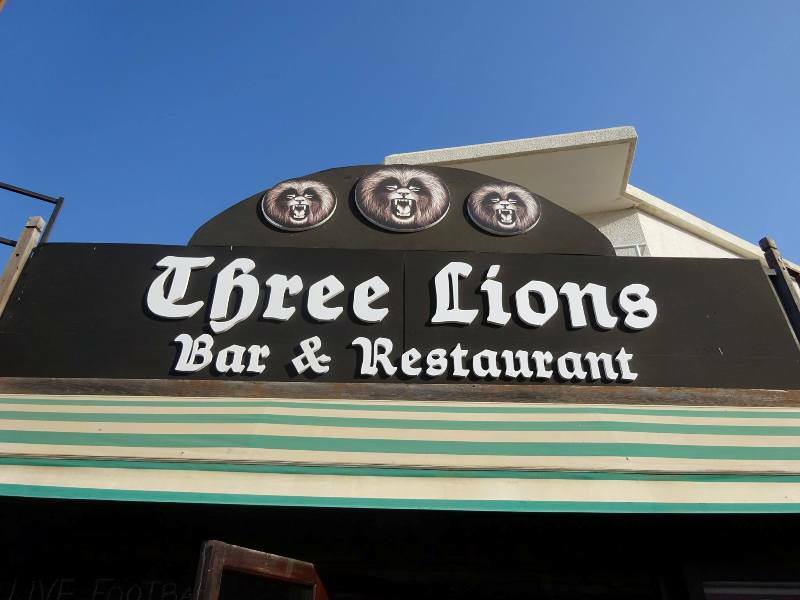 Three Lions is open all year round and serves food for breakfast, lunch and dinner. Major sports games are also shown. 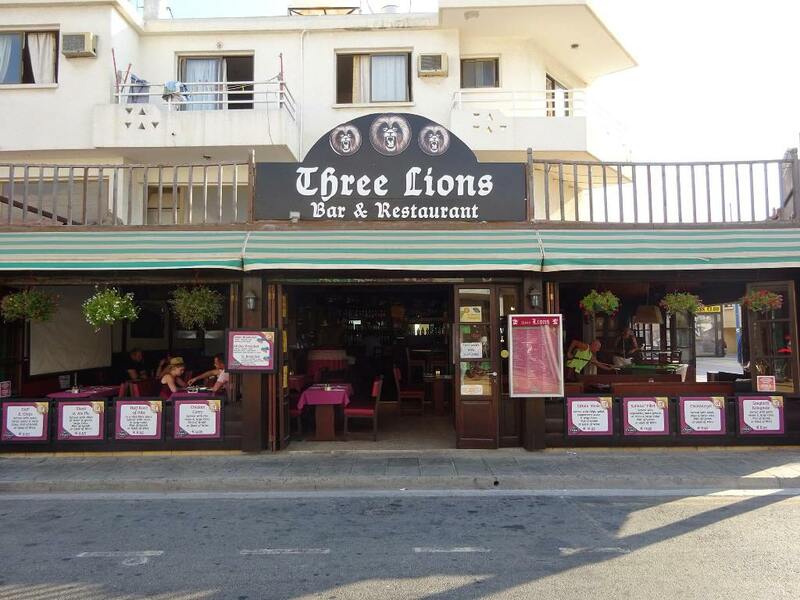 The closest hotels to Three Lions Bar are Niki Studios, Christabelle apartments, Terpsithea Apartments. The closest Club to Three Lions Bar is Blue Moon Bar.